MADISON — Two areas in the western part of Madison County will be the first to be studied for their suitability for possible wind farms. 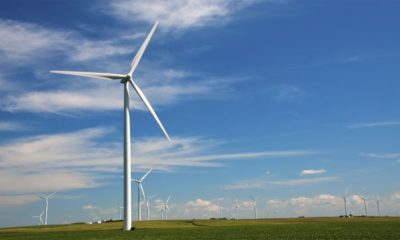 Following a pair of public hearings Wednesday, the Madison County board of commissioners approved two conditional-use permit applications sought by Invenergy Wind Development of Denver . . . Invenergy built and operates both Prairie Breeze projects west of Madison County and recently finished construction of the Upstream Wind Farm, north of Neligh. Read more here. This entry was posted in Nebraska / Midwest News and tagged American Wind Energy Association, AWEA's Nebraska Fact Sheet, Invenergy, Norfolk Daily News, Prairie Breeze Wind Farms, Upstream Wind Farm, wind energy development in Nebraska on November 15, 2018 by Helen Deffenbacher.